Water usage surges across the United States when the warm days of summer roll in and people spend time swimming, washing cars, and otherwise using more water than normal. The increased water usage also increases the risk of plumbing problems and may cause your summer fun to come to an abrupt halt. Rather than spend your time and money with plumbers, keep these summer plumbing tips in mind. Hot showers are best during the winter when temperatures outside are frigid. Now that it is hot outside, a nice, cool shower is the most relaxing way to end or start the day. It’s also a great time to turn down the water heater. You’ll reduce energy consumption and costs and further reduce risks of burns and scalds due to hot water. 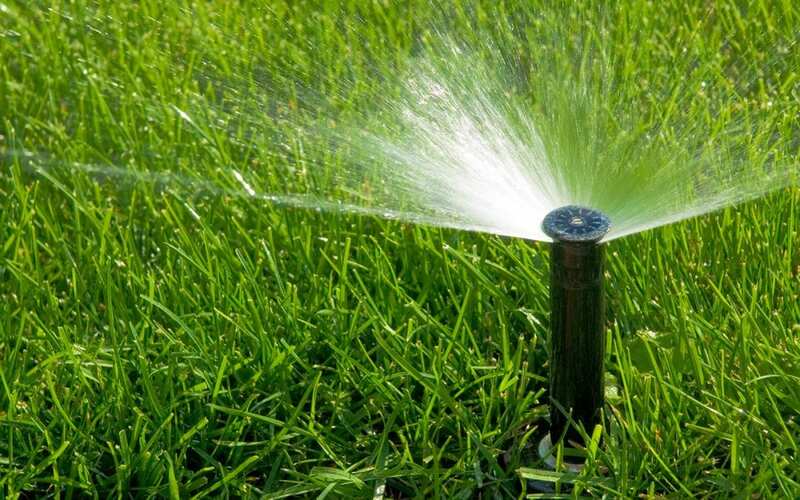 Disconnect water hoses when they aren’t in use and remove any other sources of water that may leak into the yard. Many pests, including pesky mosquitos, are attracted to water. There’s a greater risk of drawing the pests to your home if there is standing water anywhere on your property. Kids love to play in the dirt and run in and out of the house. Visits to the beach leave sand behind every place imaginable, thus it is also brought into the home. This isn’t a good combination for the home’s plumbing system, so be sure to hose things down (yes, kids, clothes, and all) before mud, dirt, leaves, and other debris are tracked in and flushed down the drain. Keep an eye out for above-ground sprinkler heads that can be easily run over by mower blades when cutting the grass during the summer. Check for irregular spraying patterns because this could mean one of the nozzles is clogged or cracked. The garbage disposal is designed to shred and dispose of small scraps of foods left behind when you’re preparing food and when a meal is finished. When the summer temperatures warm up, many people plan backyard BBQs that include summer favorites like cantaloupe, ribs, chicken, corn on the cob, watermelon, and oranges. These foods taste delicious but can clog the garbage disposal and cause an array of plumbing problems. Avoid placing these items in the disposal. Don’t let the beautiful days of summer disappear among the hassle and aggravation from plumbing problems. Put the summer plumbing tips above to use at your home and reduce risks of enduring headaches and expenses that put a damper on the day. Hub City Home Inspections offers an array of home inspection services, including 4 Point Inspections (roof, plumbing, electrical, and HVAC) and individual component inspections. Contact us to schedule an appointment.